Scotrail services disrupted across the Highlands and north east as a result of staff shortages. Disgruntled rail passengers faced yet another Monday morning with travel disruption after a string of train cancellations. 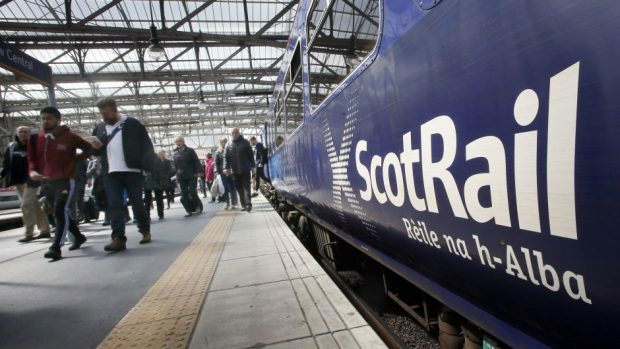 Ongoing ScotRail staff shortages meant commuters trying to travel across the north of Scotland were left inconvenienced by a series of terminated journeys to Aberdeen, Inverness and Kyle of Lochalsh. Elsewhere a delayed freight vehicle had a knock-on impact on journeys south of Aberdeen, while an unspecified fault meant some trains were leaving stations with three carriages instead of four. And an out-of-order toilet on the 1.13pm Glasgow to Carlisle prompted travelling SNP MSP Gail Ross to tweet that it was “not good when I’ve just had a big coffee!”. Last week, ScotRail issued an apology to passengers for falling “below the standard they expect and deserve” and said it was working “flat out” to train new conductors and drivers and return services to normal. Yesterday a spokesman pointed to its latest performance stats, which showed that the proportion of trains which arrived on time in December had risen to 84.2%, up from 83.4% in the previous weeks. Transport Secretary Michael Matheson has previously warned that Abellio could be stripped of running the ScotRail franchise if the figures do not improve. And despite the gradual improvement, critics have said it is time for the Scottish Government to step in. Highlands and Islands Labour MSP Rhoda Grant said: “Scotrail knew they needed to train staff for the new trains and should have made sure that there was adequate cover for this. “It is totally unacceptable that trains are cancelled at short notice and that this is going to continue for weeks to come. Her party colleague Lewis Macdonald, who represents the North East, said: “Abellio ScotRail’s performance continues to fall short of its performance targets and even worse, it continues to drive passengers to think about other ways of getting to work. “The cancellation of peak-time trains on the Aberdeen-Inverness and other lines can only be bad news for railway users in general.